Now in our 15th year of trading, at The Professional Tanning Studio Ashford, we strive to stay ahead of other local salons and have invested in the latest KBL megaSun lay down and stand up sun beds. 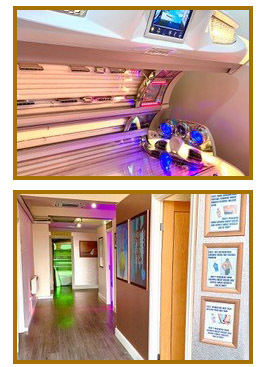 We have premium tanning lamps that offer immediate colour and a deeper longer lasting tan. The lay down sunbeds also have many comfort features, such as air conditioning and aqua mist spray to take your tanning sessions to another level! Our therapist in ‘The Beauty Room’ is Michelle. She offers Guinot facials & Jessica mani/pedi, waxing and electrolysis.